After pitching, demonstrating and showcasing their solution alongside other students from the Nigerian higher institutions of learning, two Federal University of Technology, Akure FUTA, Engineering Undergraduates, Taofeek Olalekan Afeez and Alayande Abdulwaheed Abiola, have emerged winners of this year’s Microsoft Imagine Cup National Finals in Nigeria. With this development, the team would proceed to second round of the competition and if successful and will join other brightest students for global finals taking pace in Redmond, Seattle this July. The competition is seen as the biggest software competition for undergraduates in the world. Now in its 16th year, Microsoft Imagine Cup, aims to give young developers the opportunity to acquire new and critical technical, business and team-building skills all while having fun along the way. However, the competition is segmented into three rounds, the National Finals which is round one, regional finals, round two and the World finals, round three. The finalist submissions from all participating countries in round one will be entered into round two, the regional final through an online submission, which will be adjudicated by an independent panel. Finalists from round two will win an all-expenses paid trip to the World Finals taking pace in Redmond, Seattle in July. They will compete with the best and brightest teams from across the globe for the title of World Champion, up to $100,000 cash prize and the chance to take home the Imagine Cup. The two undergraduates of Physics Electronics and Electrical Electronics who jointly formed TEAM TREP had presented a solution called Real Drip – a device that reduces the risk of blood clot or deep vein thrombosis. The non-invasive device monitors the flow of intravenous fluid during IV treatment and notifies medical staff in real time. The device monitors the rate at which intravenous fluid drops (flow rate) and notifies the medical staff on duty in real time, for the timely removal of intravenous needle to prevent back flow of blood which may lead to pulmonary embolism if necessary action is not taken on time. Speaking on this development, Mr Akin Banuso, General Manager, Microsoft Nigeria told the audience that, “Today’s students are the makers and doers that will build and change the world, as we know it. At Microsoft, we believe this new generation of innovators have the potential to address some of humanity’s most pressing problems; from how to predict and monitor diseases like Alzheimer’s and depression, to identifying ‘fake news’ or increasing response times during natural disasters. Also speaking, Mr. Damola Solanke, Principal Azure Apps & Infrastructure Lead, Microsoft Nigeria and Chief Judge of the competition said the winning idea was assessed based on four key areas – Technology, Innovation, Concept and Feasibility. “We would like to commend TEAM TREP for satisfying the requirements of the competition. Their idea was well articulated and we look forward to seeing more homegrown solutions to our pressing needs as a country.”, he said. Meanwhile, the National entries for the Imagine Cup competition opened in February 2018, and is available in 29 countries across the world including Nigeria. Participants create or join a team of up to three eligible students. Together, they make an original technology project from start to finish. The process involves coming up with a great idea, putting together a plan, building a project and submitting it. 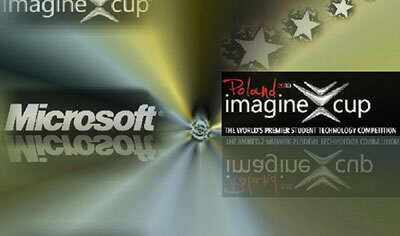 Organised by Microsoft subsidiaries in-country, the National Finals select the best teams from each participating country as they pitch and demo their ideas to experts to vie for a coveted spot at the Imagine Cup World Finals. Team X.GLU of the Czech Republic who took top honours in the World final for their innovation – a glucose meter for children with Type 1 diabetes paired with a Microsoft Azure cloud solution in the form of an app that rewards behaviors that keep diabetes in check, managed through motivational in-app games. Team AMANDA, a 2016 finalist from Greece, created a bullying detection and intervention solution. They participated in WE DAY Toronto along with Judson Althoff, the leader of our commercial business, with the purpose of spreading technology solutions against bullying worldwide and providing inspiration to more than 23,000 teenagers. Team World Opaque Media, a 2016 finalist from Australia was highlighted for their Virtual Dementia Experience, a high-tech way to help caregivers better understand and gain an immersive experience of people living with dementia. The Australian team is now bringing their technology to a completely new frontier: outer space. Two members of the team, Norman Wang and Liam McGuire, developed a game called “Earthlight” that combines Microsoft’s Kinect technology and a virtual reality headset to allow users to experience the feeling of being an astronaut on a spacewalk outside the International Space Station. The project caught NASA’s attention, and eventually evolved into a collaboration to create realistic simulations for astronaut training.